While there are exceptions (humus/falafel), for the most part other than soybeans, beans are consumed whole. That is, other than boiling, they are typically consumed without additional processing. In contrast, although soybeans can also be consumed after only minimal processing in the form of boiled beans, edamame and soynuts, they can also undergo additional processing to produce the traditional Asian soyfoods (tofu, miso, tempeh) or soy protein products (isolates, concentrates, flour). Processing of beans typically increases protein digestibility which is why the digestibility of whole beans is not especially high. Gilani et al.3 listed the digestibility of soybeans, soy flour and isolated soy protein as 78, 86 and 95%, respectively. Although relatively little work has been published, that which has suggests the digestibility of protein from the traditional Asian soyfoods is quite high (>90%). As can be seen from the table below, in comparison to the 9 legumes studied by Nosworthy et al.4, the soybean has the highest concentration of sulfur amino acid (methionine and cysteine), which are the limiting amino acids in legumes. 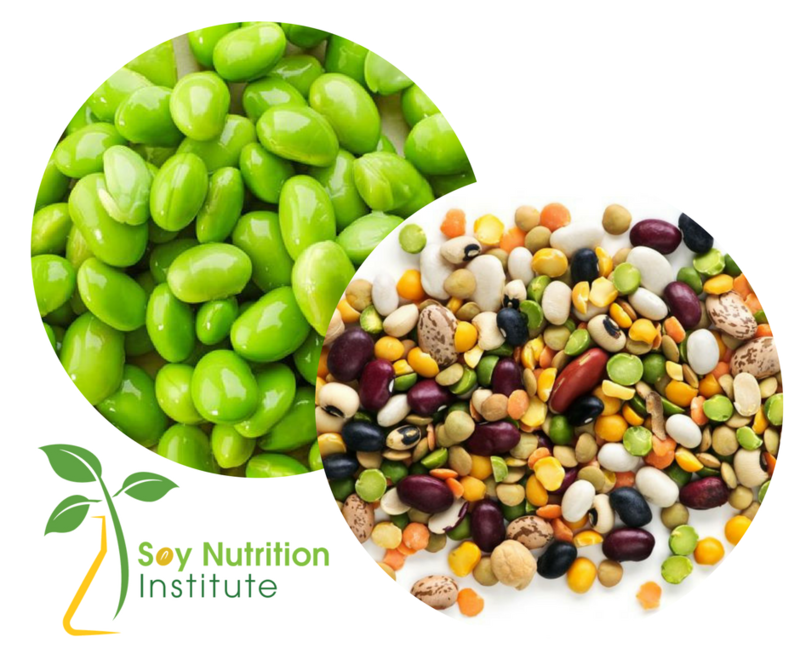 So soyfoods have a superior amino acid profile and can be consumed in highly digestible forms. Nevertheless, all beans are really nutritious foods that warrant a much bigger role in Western diets than they currently have. Messina, V. Nutritional and health benefits of dried beans. Am J Clin Nutr. 2014, 100 Suppl 1, 437S-42S. Winham, D.M. and Hutchins, A.M. Perceptions of flatulence from bean consumption among adults in 3 feeding studies. Nutr J. 2011, 10, 128. Gilani, G.S., Cockell, K.A., and Sepehr, E. Effects of antinutritional factors on protein digestibility and amino acid availability in foods. J AOAC Int. 2005, 88, 967-87. Nosworthy, M.G., Neufeld, J., Frohlich, P., Young, G., Malcolmson, L., and House, J.D. Determination of the protein quality of cooked Canadian pulses. Food Sci Nutr. 2017, 5, 896-903. Hughes, G.J. The evolution of protein quality evaluation. INFORM. 2015, 26, 110-112.